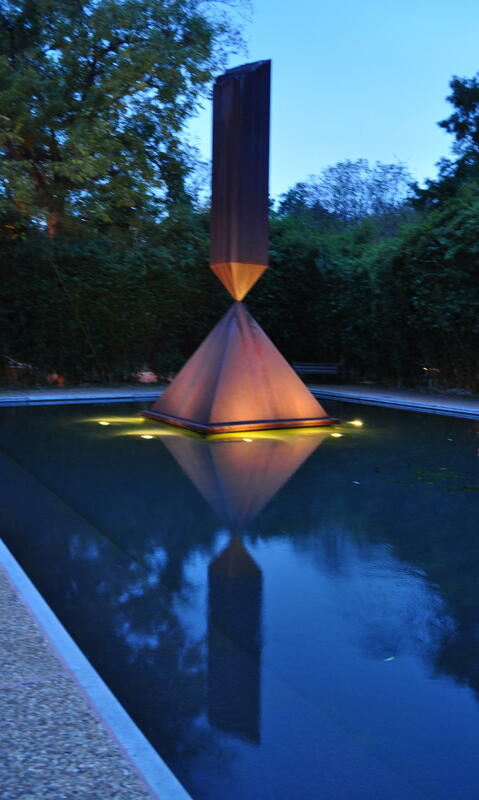 Since today is Martin Luther King Jr., Day, and since I just wrote about the Rothko Chapel, I thought it would be fun to write a short post on Barnett Newman’s Broken Obelisk. One of the casts for this sculpture rests outside the Rothko Chapel, although art collectors John and Dominique de Menil originally intended this sculpture to be placed elsewhere in Houston. In May of 1969 (about one year after Martin Luther King, Jr.’s assassination), John and Dominque de Menil donated money toward the purchase of this sculpture, stipulating that it was to be placed near City Hall in Houston and function as a monument to Martin Luther King, Jr. And as you can imagine (considering the political and cultural climate in the South during the 1960s), the city officials were prompted to refuse a sculpture that would be dedicated to the civil rights activist. So, the de Menils decided to place the sculpture elsewhere. I think this sculpture is a powerful and fitting tribute to Martin Luther King, Jr. 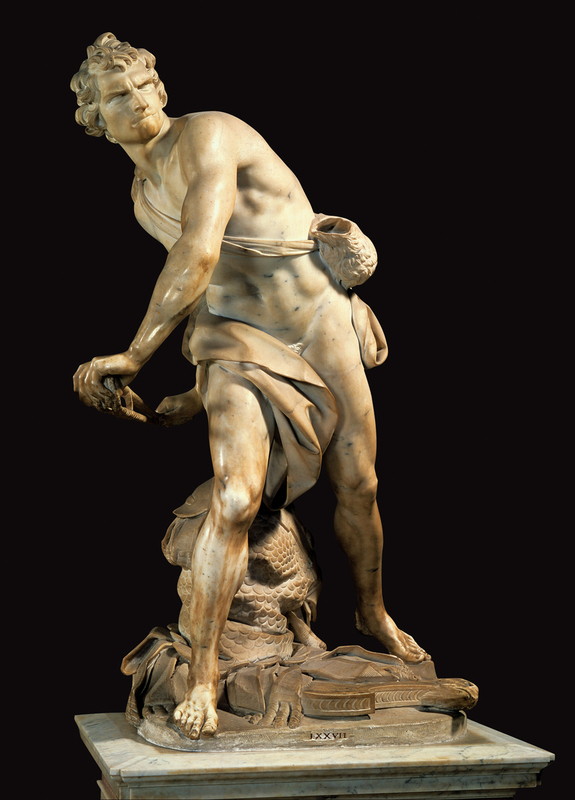 The form conveys a lot of strength and power to me, not only in its solid pyramidal base, but also in the vertical orientation of the obelisk. At the same time, though, the pyramid and obelisk come together in a really delicate balance. To me, this delicacy not only suggests the frailty of human life (MLK’s life, specifically), but the tension that existed in the South during the Civil Rights Movement. 1 James E. B. Breslin, Mark Rothko (Chicago: University of Chicago Press, 1993), 483-84. A few days ago I was invited to speak to some students about my experience last month, when I visited the Rothko Chapel. 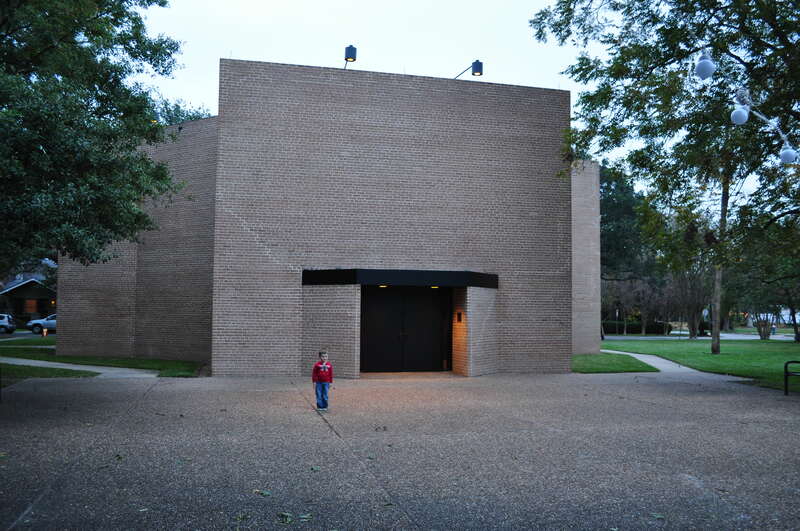 Before visiting the Caravaggio show in Fort Worth, my family and I flew to Houston expressly to visit the Rothko Chapel. My husband and I feel like Rothko would have approved of our pilgrimage to Houston. Before he had even received the commission to make the chapel paintings, Rothko had considered the idea of wayside chapels or one-man museums spread across the country. 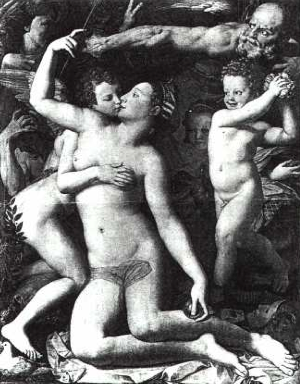 He liked the idea of having a person travel to a specific place (and even better, a place that was difficult to access) to see a work of art.1 That way, it seemed likely that the viewer would be more invested in seeing the specific art that was on display – as opposed to say, if the viewer happened to see some art within a gigantic museum or on the wall of a restaurant (cough – The Four Seasons in the Seagram Building – cough). One of the main things that struck me about the exterior of the Rothko Chapel was the heavy masonry of the structure. I was immediately reminded of Byzantine churches and mausoleums in Ravenna like San Vitale and Galla Placidia. Only after visiting this chapel did I learn that Rothko wanted to have the structure of the chapel be a merge between architecture of the East and West. 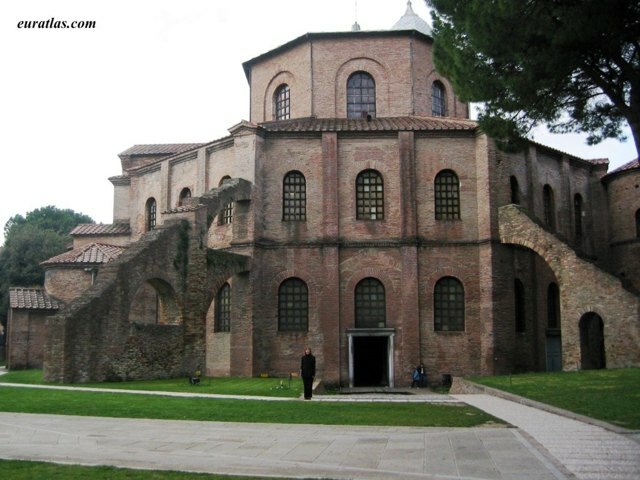 In fact, Rothko was particularly impressed with the Byzantine church S. Maria Assunta (near Venice). 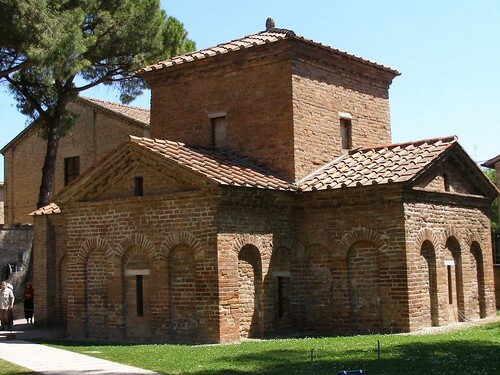 San Vital and S. Maria Assunta both have octagonal floor plans, too, similar to the Rothko Chapel. Upon entering the Rothko Chapel, I was confronted with an environment that was a little bit unique and unexpected. 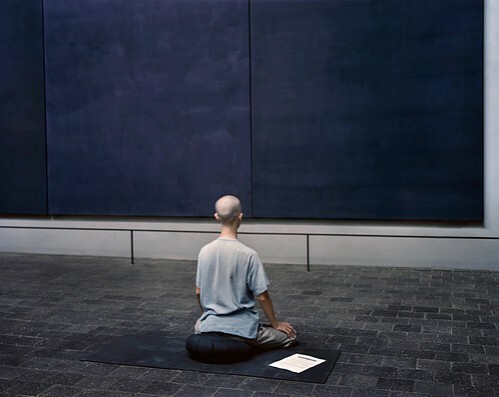 I was planning to be in a place that looked serene (like the image above) or perhaps even see someone meditating in front of Rothko’s purple and black canvases. That evening, though, the chapel was preparing to host a Christmas concert. There were a lot of instruments and chairs covering the chapel floor – and there was a piano tuner. 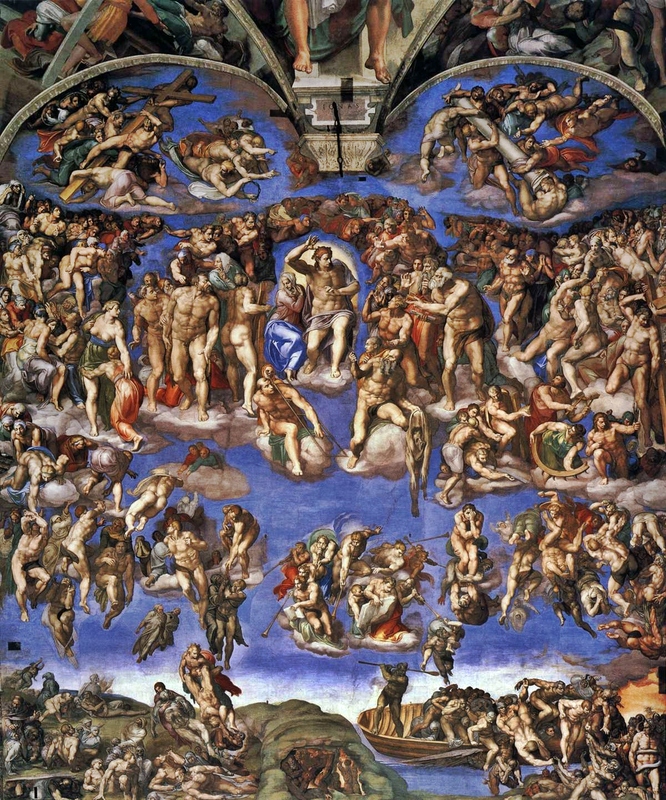 For the whole time that my family and I were in the chapel (about fifteen minutes), the tuner played the same high-pitched note over and over and over. It was very distracting and frustrating, although there was something horribly ironic in hearing the repeated note and looking at fourteen large-scale canvases that have little variation (at least upon first glance). It was a rather interesting and yet somewhat conflicting experience in the chapel for me. But I suppose that is what Rothko would have liked me to experience. 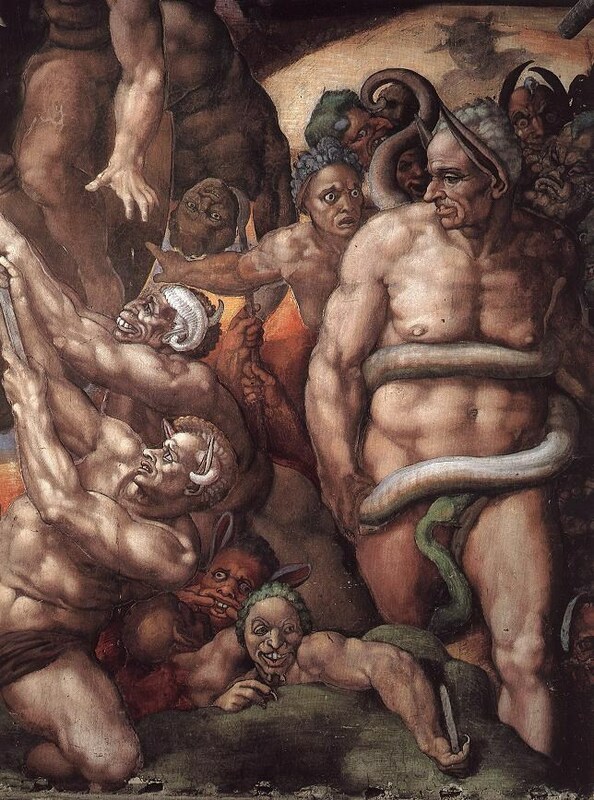 He was interested in the conflict created by the human condition, wasn’t he? 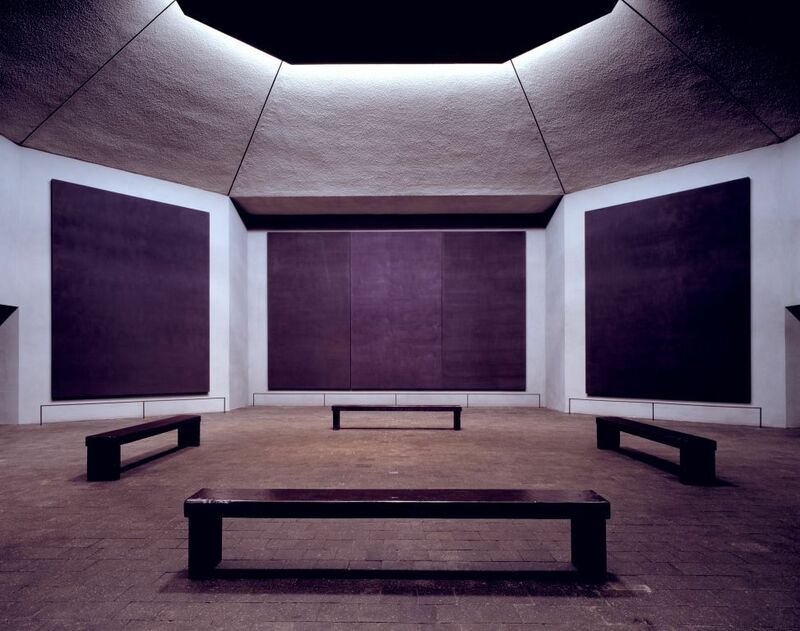 Have you ever been to the Rothko Chapel? What was your experience? 1 James E. B. Breslin, Mark Rothko (Chicago: University of Chicago Press, 1993), 464.